The Power Cables, which are used in power transmissions and distribution, are operated at high voltage. If the power cables are not of the very best quality, there can be very grave situations. There can be not just power outage but also severe electrical accidents. V-Guard, the well-known electrical products manufacturer, have the perfect solution that will keep such situations away. The PVC Insulated Power Cables from V-Guard not only ensures a continuous supply of power, keeping the nightmare of power failure away, but also guarantees total safety against any cable malfunction leading to severe mishap. The PVC Insulated Power Cables use either copper or aluminum conductors. Comprising of conductors, insulations, PVC. Tape or extruded bedding, armor and outer sheathing, these power cables are strong and highly durable. There are both armored and unarmored variants of these PVC Insulated Power Cables. They also come with three different cores: the single core (with a range of up to 1000 Sq.mm. ), the multi core (which range varies from 4 Sq.mm to 400 Sq.mm.) and the 3.5 core (with a range from 25 Sq.mm to 400 Sq.mm). 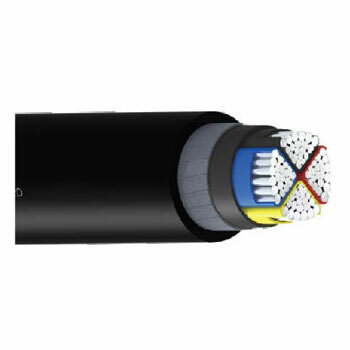 These power cables maintain the high application standards of IS: 1554 (Part-1).